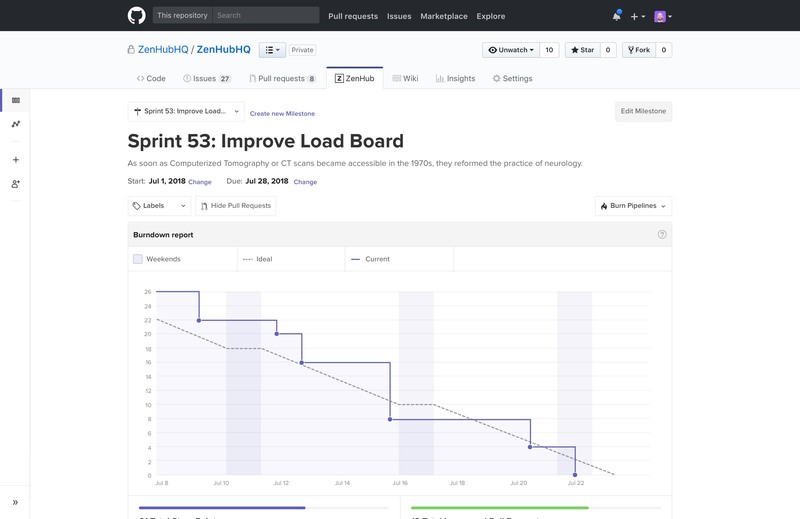 Multi-repo Boards, Epics, and reports — all without ever leaving GitHub. Easier than Jira. More powerful than Trello. Built for developers. Never leave GitHub to manually update a task tracker or keep your team on the same page again. ZenHub was designed to support the ways you want to work, without adding disruption. 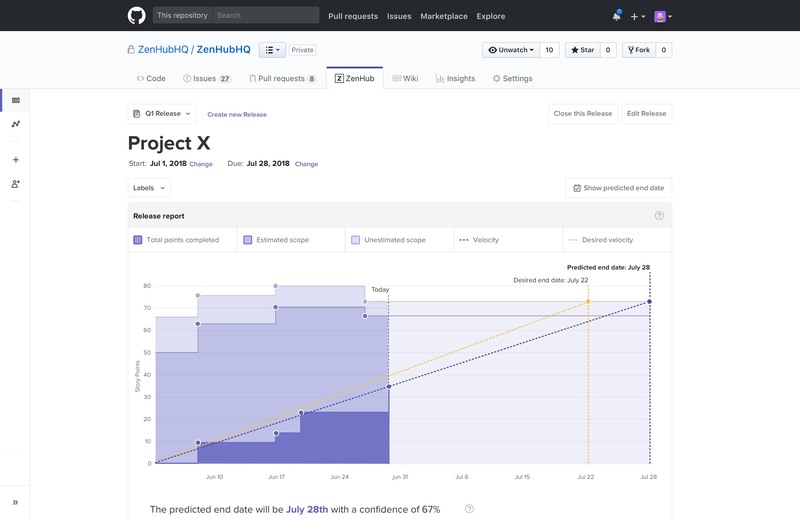 ZenHub is the only independent project management tool natively integrated with GitHub. 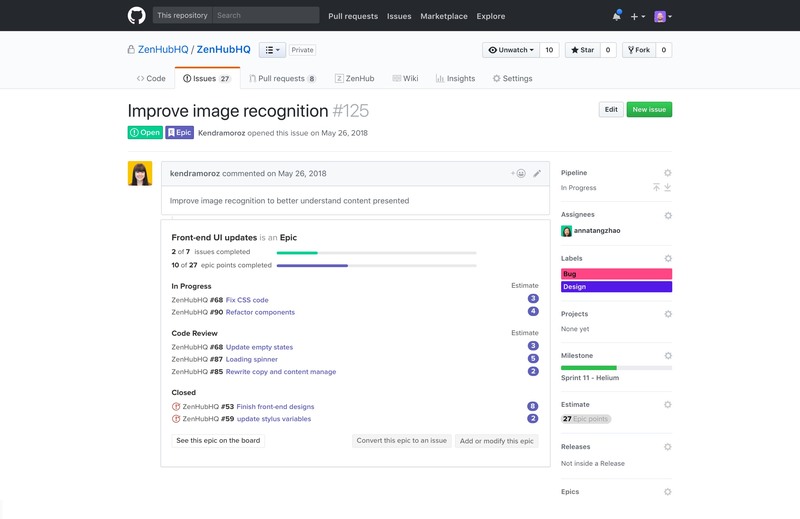 Our seamless platform is powered by your own GitHub data, so everything gets updated automatically. Add our transparent browser extension to Chrome or Firefox to add Boards, Estimates, and more directly to GitHub, and try out our standalone webapp to take your work on-the-go. 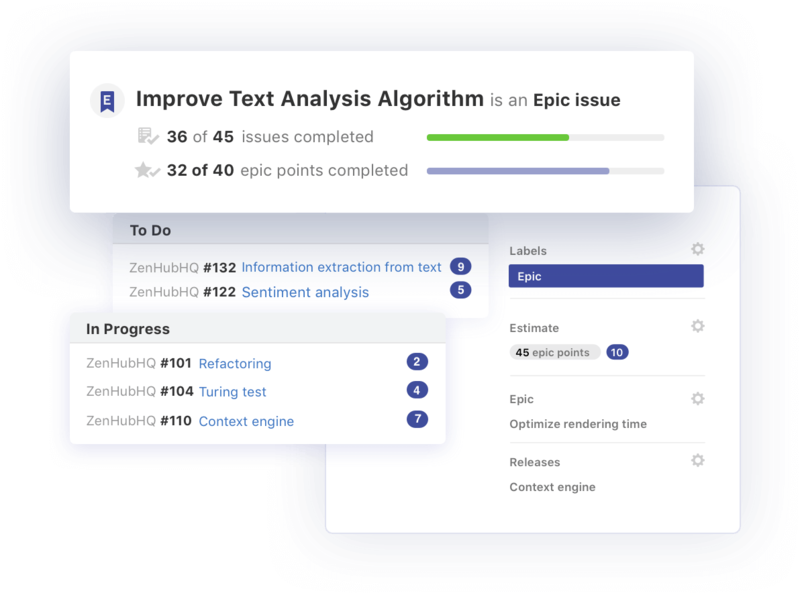 Our powerful browser extension adds Task Boards, Epics, Estimates, Reports and more directly to GitHub. 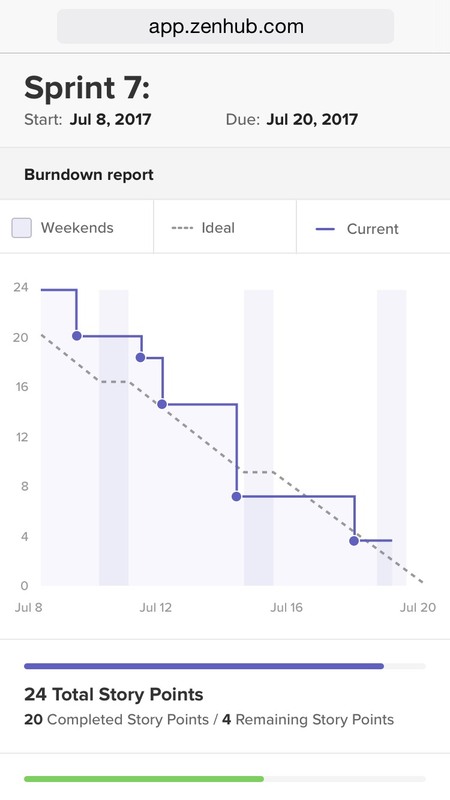 Our web application helps teams plan, track, and report on the progress of GitHub Issues and Pull Requests from any browser or device. 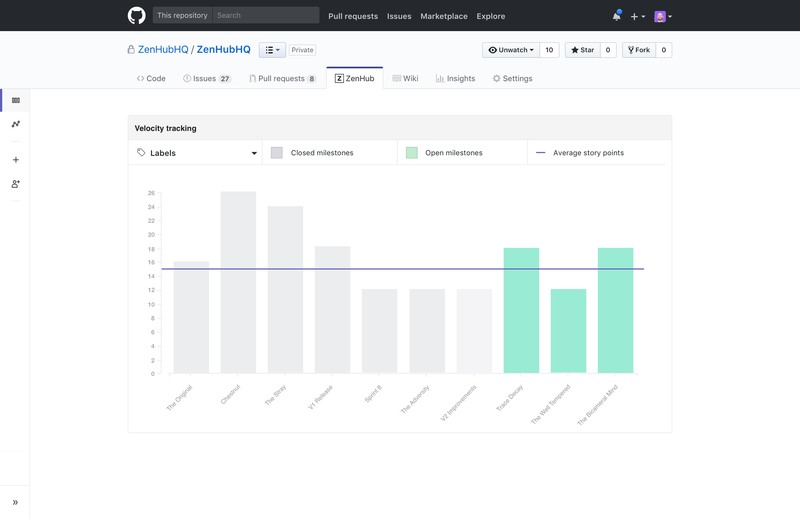 ZenHub addresses the pain points in tracking development work – it&apos;s simple, intuitive, flexible, and integrated into a tool we already use daily […] our team spends less time tracking our GitHub Issues and more time tackling them. 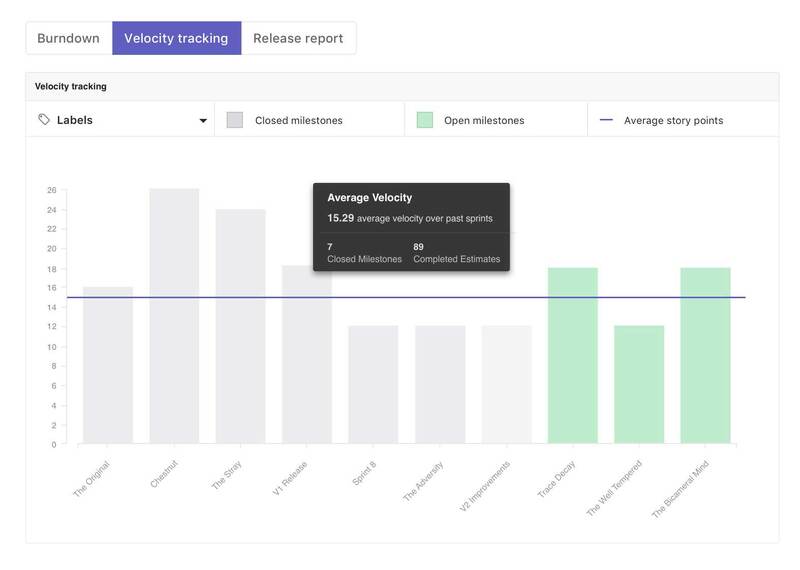 ZenHub runs on GitHub data, so your Release Reports, Burndown Charts, Velocity Tracking, and Kanban Reports are always accurate. 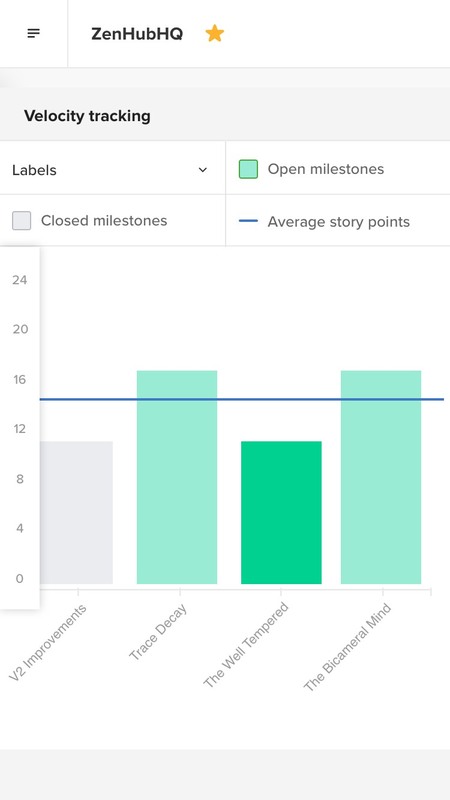 You have more tangible metrics than you do in JIRA because it&apos;s tied directly to the code. […] That is critical for managers to really start to understand and quantify things in ways they couldn’t before. 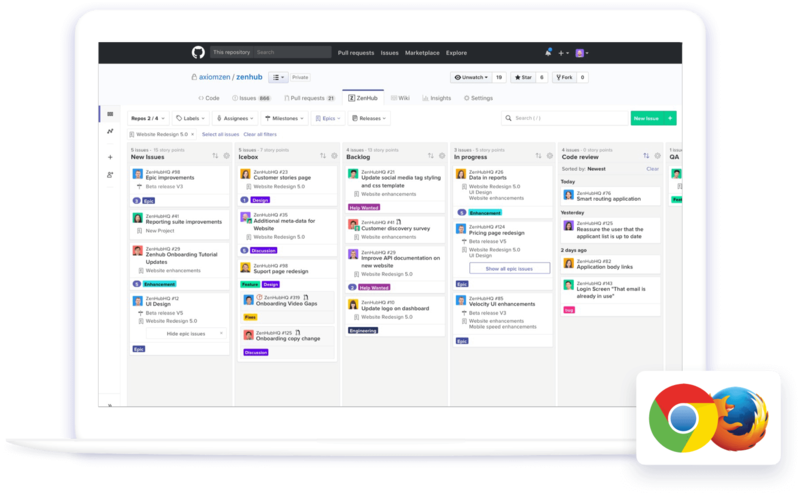 ZenHub makes it easy to break down complex projects into small, manageable tasks to align your team—and ship faster. 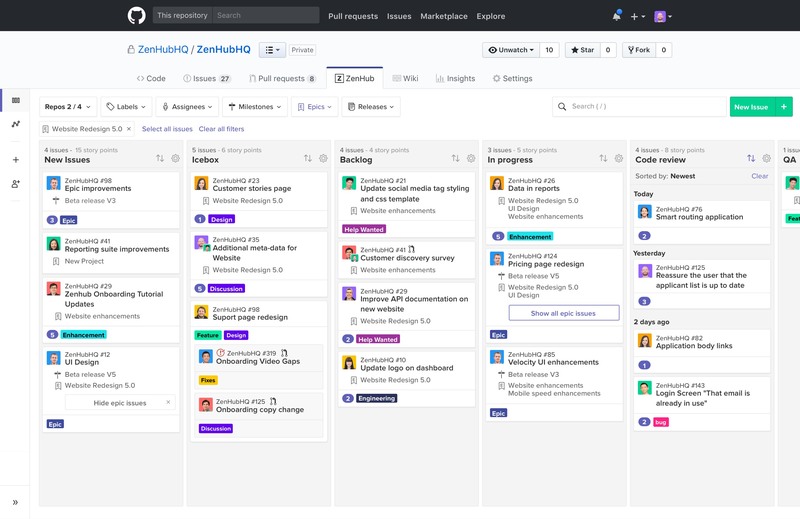 ZenHub allows our team to have a unified workflow for tasks, and everyone in the team is able to have a clear picture about where we are and what needs to be done.